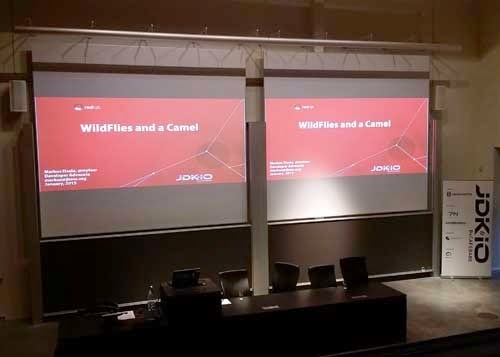 Just wanted to quickly publish my slides from the recent JDK.io talks about WildFlies, Apache Camel, Java EE and large enterprise projects. Thanks to all the attendees for great questions and the attention. JDK.io is the two day conference of the Danish Java User Group. The venue is pretty unique as it is the IT-University. Which is an amazing building and a unique atmosphere in the session rooms. Check out their website for more information. See you soon somewhere. Check out my upcoming talks!